Creating a backup of your data whether it be enterprise data or your own personal files at home, is incredibly important and should be done regularly if you value the data held on your PC. Creating a backup hasn’t been easier than it is with Windows 10! Before we go ahead and jump into the steps, it is crucial that you store your backups on some form of external media such as: USB flash drive, blank DVDs, external HDD, or network storage. While having a backup on your system is nice, it does next to nothing in the event that your drive that the backup data is on happens to be the one that fails. It is highly recommended that not only do you store it externally, but in multiple locations if possible. Step 4: Choose the type of backup you are trying to do. Create a System Image: This allows you to do a single backup of files you are looking to backup, or the entire system as whole, including multiple drives if you have the storage to allow for it. Set up Backup: this option allows you to do scheduled backups. For example, if you wanted to have your system back itself up every Sunday at 1am, you could do that here. 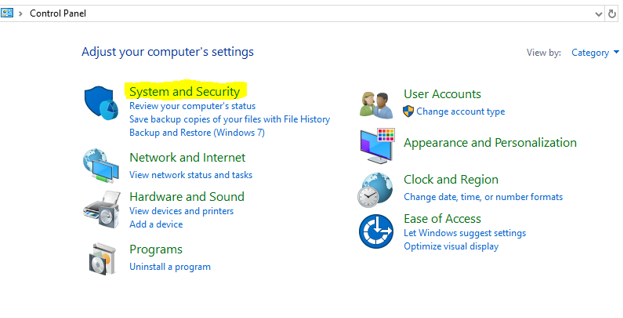 Once you click on Create a system image, you are given the option of selecting one of three locations to back up to. On a network location: Select the network location you wish to back up to. Step 6: Which drives do you want to include in the backup? Here we will select which drive”s” you’d like to backup. Some users may only have one drive in which would likely be the (C:) Drive. 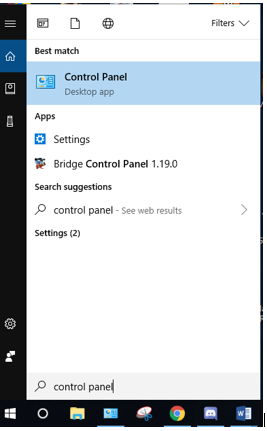 When your drives are selected, hit the Next button. This screen is confirming the selection you made on the previous screen, while also should you an estimated amount of disk space that the backup would utilize. If everything looks correct, select Start Backup. The backup will begin, it may take a while depending on the amount of data you are trying to backup. Step 8: Congratulations you did it! That’s it, backups are that simple. 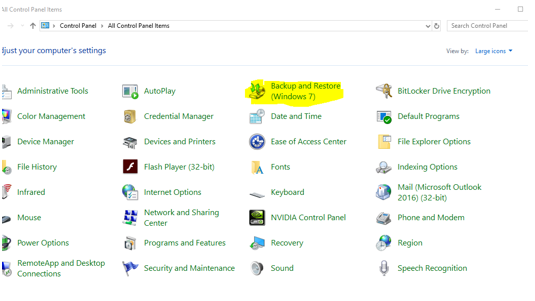 If you ever need to restore your backup, you can go back to the Backup and Restore (Windows 7) window we went to in Step 4 and select Select another backup to restore files from. The window that pops up will have you select the backup you’d like to restore and will run you through the few steps to get your backup restored.